EI Associates recently assisted the Summit School District with the reconfiguration and renovation of several Science Labs at the LCJ Middle School. The existing science labs did not meet the needs of current science initiatives that emphasize hands on, integrated science/technology and math experiences and discovery-based learning experiences for students and required a complete redesign and reconfiguration. The project covered the creation of new, flexible science rooms for each Grade Level. 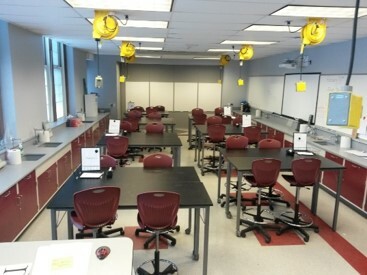 Science classrooms are clustered around traditional labs to create more flexible uses of instructional space. The project required asbestos abatement and the complete demolition of (9) Science Rooms, (11) Classrooms, and (3) SGIs. The renovated space provides a total of (6) new Science Labs, (1) Art Room, (14) Classrooms and (4) SGIs. 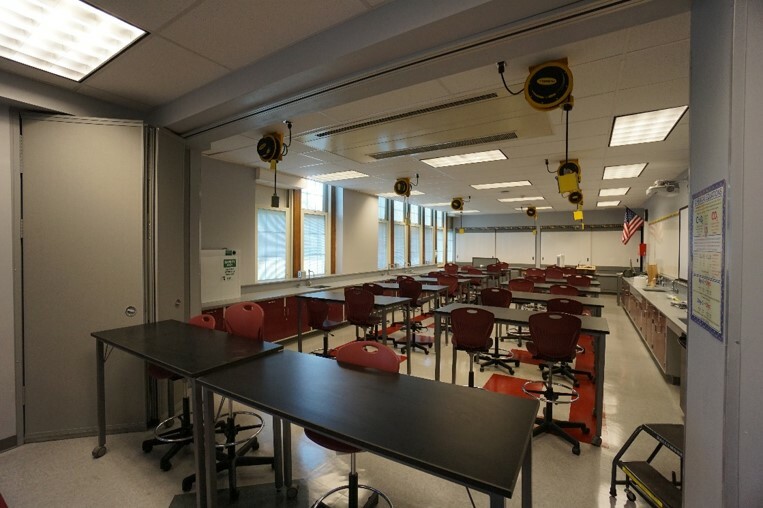 Fixed casework, sinks and hard-piped utilities were designed along the outer perimeter of each lab to provide an open and flexible instructional space. Moveable lab benches were specified, along with ceiling mounted utility cord reels and a white board area concealing a project storage area. 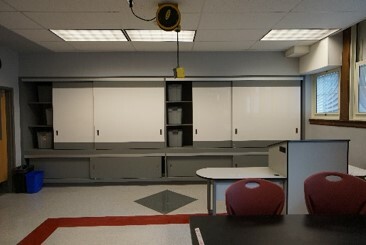 Operable partitions were designed between labs to promote shared instruction.